Have a look at our Diaphragm Valves that are made from the top class material and available in different specifications. 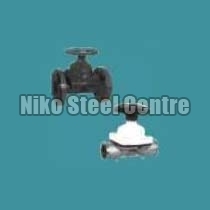 We are prime Supplier, Exporter and Stockist of Diaphragm Valves from Maharashtra, India. The company has a team of quality auditors who test the product quality prior to final dispatch.